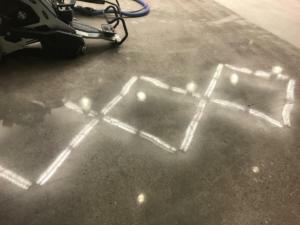 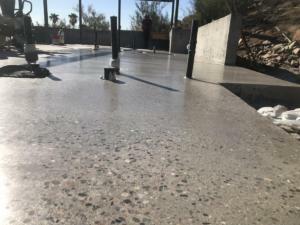 Polished concrete floor systems transform porous concrete foundations into dense surface that keeps water, oil, or other materials from penetrating the surface. 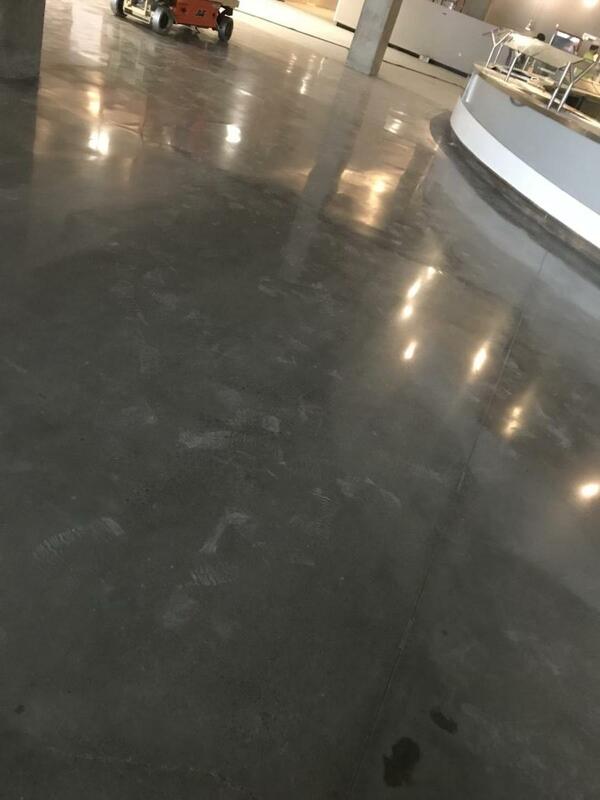 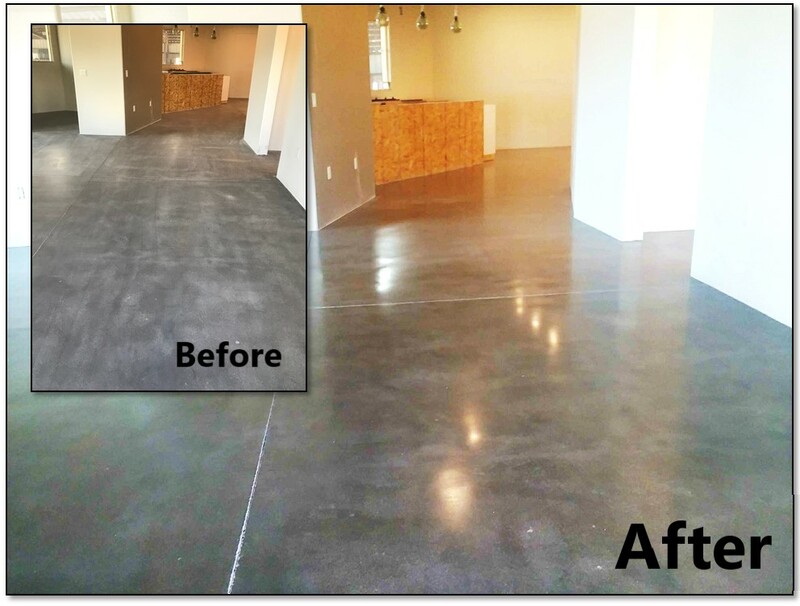 Polished concrete flooring is a durable flooring solution that has become more popular for its low maintenance properties and industrial look. 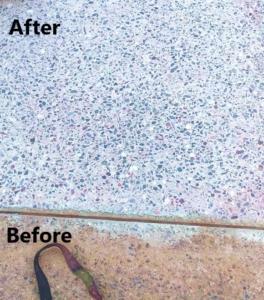 However not all polishing solutions are the same. A poor quality polishing project will leave pitting and require regular waxing to maintain a high sheen. 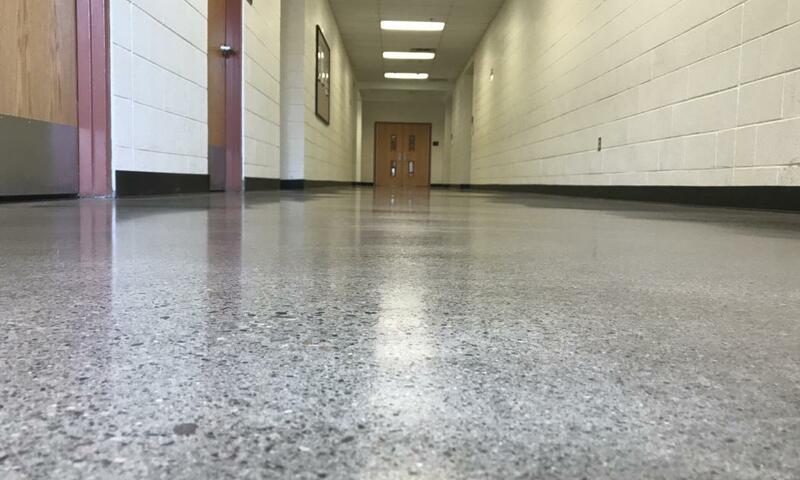 Polished concrete will withstand weight from heavy equipment, and is scratch resistant. 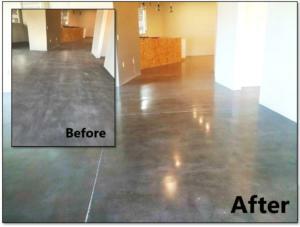 Refurbishment of an existing polished floor is very cost effective. 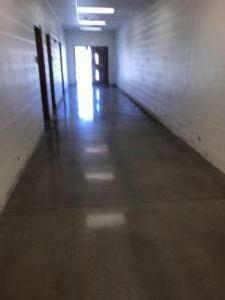 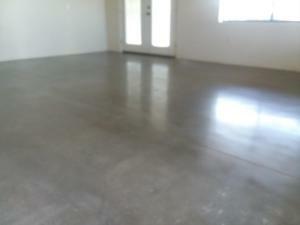 Properly maintained polished concrete floors can last years. 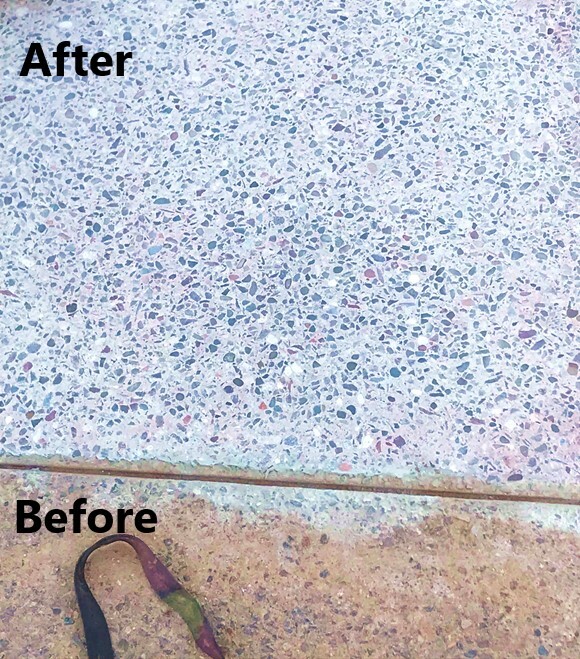 Occasional damp mopping is required to remove dust or grit with or without a neutral, non acidic cleaner and/or conditioner. 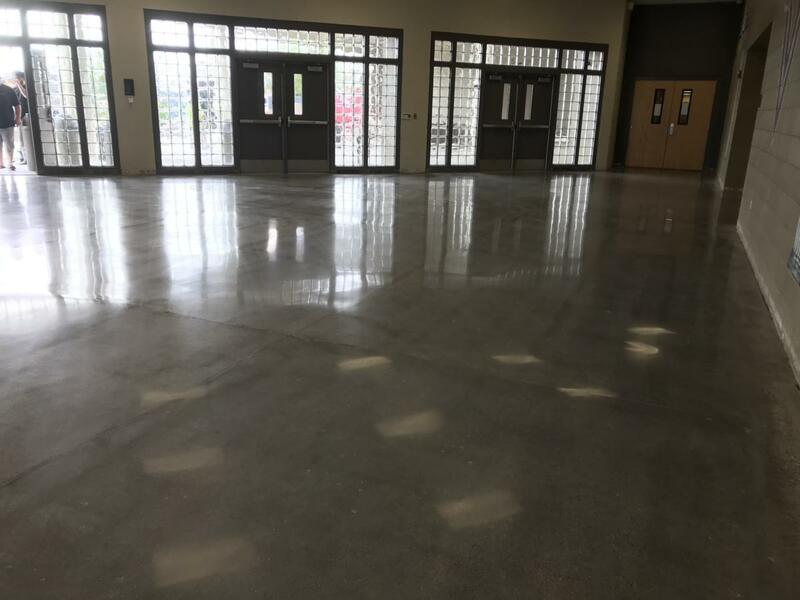 High traffic areas will not hold their shine as much, however when dull, we recommend buffing the floor with a commercial polishing compound. 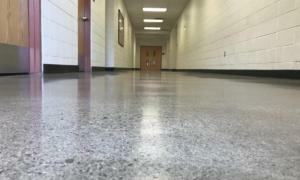 Should touch-up be required, lightly re-polished with a fine-grit abrasive should restore the shine. 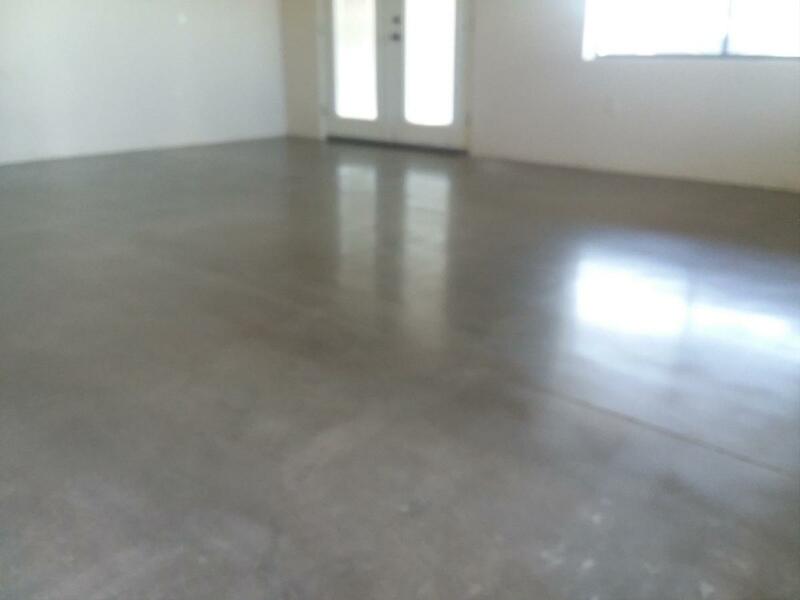 Polished concrete flooring is an economical and customizable flooring option. 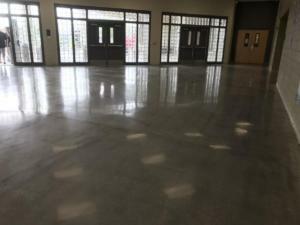 Polished floors are extremely cost effective, especially when accounting for lifetime maintenance costs. 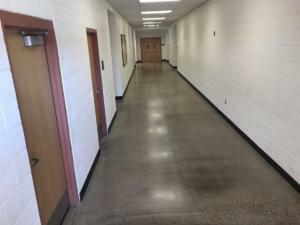 Favored for interior flooring in industrial, manufacturing, retail, transportation, schools, government, hospitality, and stadiums, this style has now become popular for apartments and residential. 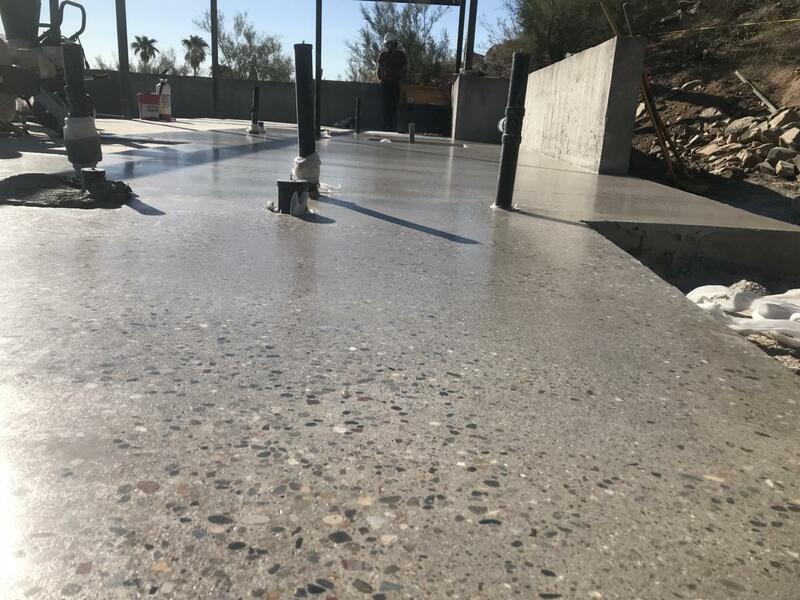 Our experienced specialists have the knowledge and experience to offer solutions customized to the application, utilizing high quality materials to guarantee a superior result.